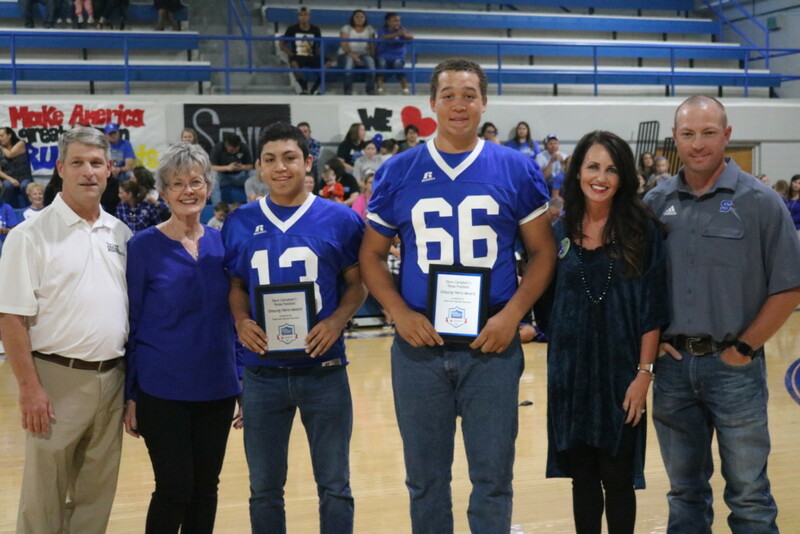 For the first time, two student athletes from the same school were recognized recently as Stratford seniors Noah Harris and Pedro Ortega were both honored before the team’s game against Canadian. Thanks to Texas Farm Bureau Insurance, both young men received $500 to devote to their college account once they register for school. Kaci McBridge nominated the pair and introduced the award at both the Stratford pep rally and on game day.